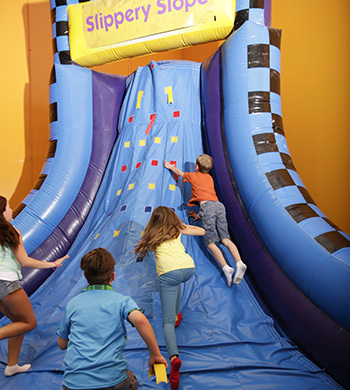 Our huge inflatable indoor playgrounds make everyday feel like your birthday! We have events throughout the week! Check out our Events Calendar to find out all the ways your kids can come unleash the fun at the best play place for kids around. **Session starts and ends at the scheduled time. *No discounts or partial time price for late arrival. Saturday and Sunday upon availability.